President Donald Trump weighed in on the murder case of an Iowa college student, pointing to the immigration status of the man accused of killing her, even though his status is in dispute. Trump posted a video on Twitter about the death of Mollie Tibbetts, saying the "incredible young woman, is now permanently separated from her family." "A person came in from Mexico illegally and killed her," Trump said, referring to the suspect, Cristhian Bahena Rivera. Rivera's immigration status has been a point of confusion, however. In court records released Wednesday, Rivera's lawyer declared that "the Government knows Cristhian has legal status" and wrote that "Cristhian has complied with his documented status since arriving in the U.S.A. as a minor." Those documents were released the day after Rick Rahn of the Iowa Division of Criminal Investigation announced the suspect's arrest and described him as an "illegal immigrant." 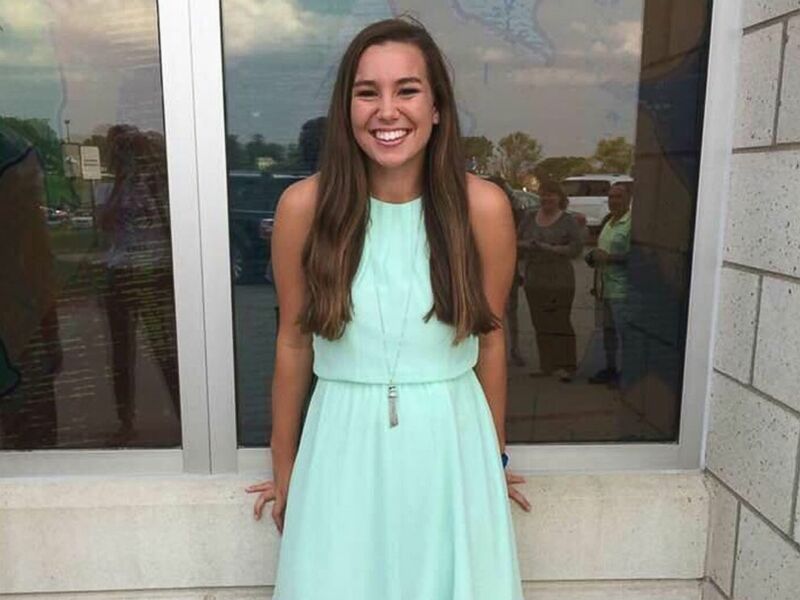 Mollie Tibbetts, a University of Iowa student, went missing after going out for a jog on Wednesday, July 18, 2018. In the rest of his Twitter video, Trump spoke about the need for tighter border security and immigration laws, bringing the Tibbetts family back up at the end of the video. "We need the wall. We need our immigration laws changed. We need our border walls changed. We need Republicans to do it because Democrats aren't going to do it. This is one instance of many. We have tremendous crime trying to come through the borders. We have the worst laws anywhere in the world- nobody has laws like the United States. They are strictly pathetic," he said. "We need new immigration laws we need new border laws. The Democrats will never give them. The wall is being built. We've started it but we also need the funding of this year's building of the wall, so to the family of Mollie Tibbetts, all I can say is God bless you. God bless you," Trump added. The White House posted a similar message on its Twitter account earlier on Wednesday, writing about Tibbetts' death and including a compilation video of other Americans who lost loved ones at the hands of what they describe as "illegal aliens in our country." In the White House tweet, it also says that "The Tibbetts family has been permanently separated." Earlier this summer, a national uproar was caused by the Trump administration's separation of families of immigrants at the U.S.-Mexico border. Tibbetts' family released a statement Wednesday saying their "hearts are broken." The statement did not, however, mention immigration.